Drive through deserts, forests, even the OCEAN in Torque. A Physics-Based driving game. Race through levels without falling off cliffs to your death, that isn't fun, is it? 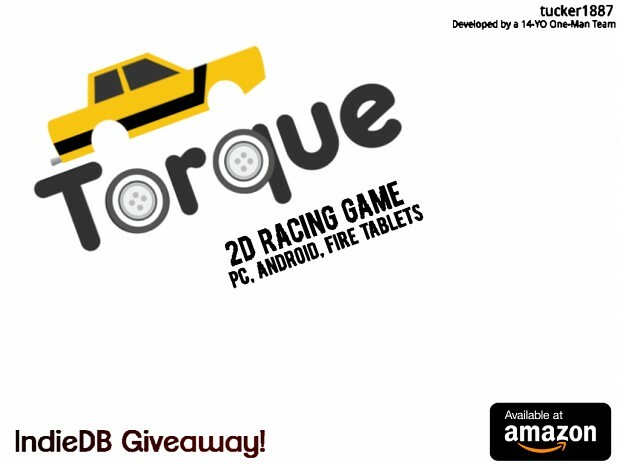 Join our Torque giveaway to support a young developer on his first game! Torque is a 2D Physics driving game. This giveaway is an ALL-ACCESS key with an Android, MacOS, and Windows download. Thank you! If you didn't win, message me for a key!